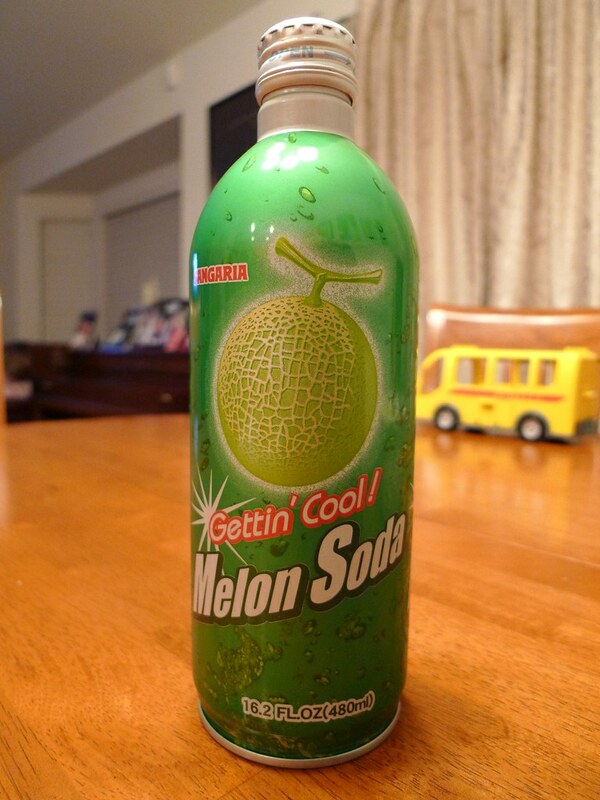 Melon flavored soda is a popular drink in Japan and has been since at least the 1950s. Ramune is one of the most popular brands that makes melon soda. It's manufactured by a company called Sangaria, who also makes "Melon Soda", which is what I will be reviewing today. Ramune usually comes in a glass bottle with a distinctive design (I'll talk more about it when I buy some to review one day.). My point is that Ramune's melon flavored soda and Sangaria's Melon Soda are most likely one and the same. Continue reading for the full review. I actually like melons, but I'm allergic to practically all of them. Watermelon is one of my favorite fruits, but I can't eat them. It's truly a sad fact. Melon Soda does not contain any real melon juice, so I can drink it, but it's unfortunate that there's no natural flavors. You have to admit that that's a pretty awesome tagline. Okay... not really. It's awful and on the verge of Engrish. Another disappointing aspect of Melon Soda is that it contains high fructose corn syrup. Now, I'm not here to argue high fructose corn syrup versus sugar. I like both and I don't care if one is better than the other as long as it tastes good. This is the same thing I say about MSG versus salt. Anyway, the reason I see high fructose corn syrup as a negative in this review is because it already has the artificial flavoring in it, so the corn syrup makes it seem extra fake. 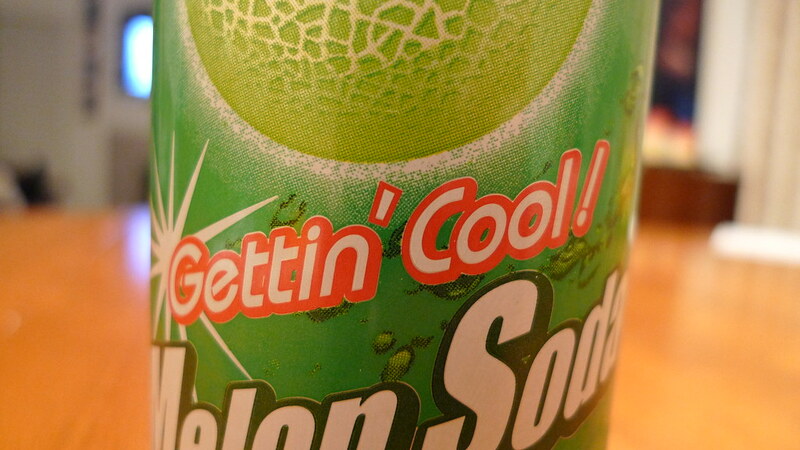 I would describe the melon flavor in Melon Soda to be more like honeydew melon than any of the other kinds. It's not a powerful melon flavor, which I guess could be a good thing. It's a nice drink, but not something I would get all the time, or call a favorite.